Simple Booklet allows you to create media mashups in a digital booklet. When you register for free at Simple Booklet you get access to a dashboard that allows you to create booklets in a variety of sizes and formats. You can start from a blank booklet or choose a style from a diverse selection of templates that are available. Once you’ve created a booklet, you gain access to easy-to-use drag and drop tools that allow you to add and format different multimedia content. 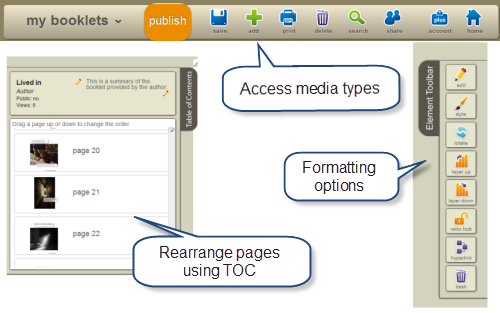 Just drag and drop pages using the Table of Contents to rearrange them. Media types include images, files, text, video, and audio, to start. 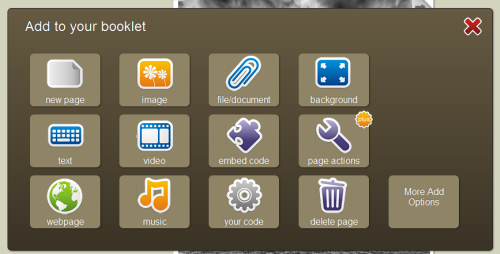 Since you can add code and web pages you can also add quite a bit of interactivity to your booklet pages. 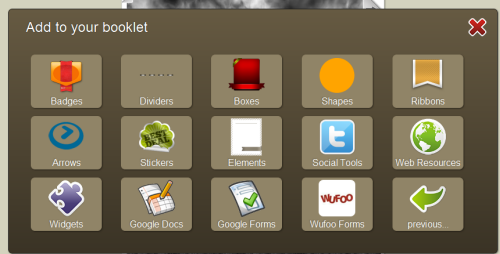 Additionally, because you can embed Google Forms into your page(s) you can include polls and surveys on booklet pages. As an added perk, the widget option allows you to add Google translate capability to pages as well as a calendar. 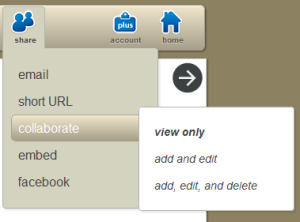 You can also add social tools which include a Tweet button and Facebook share button. 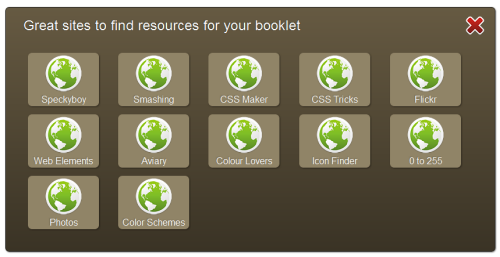 Web resources will take you to other sites which can guide you to create more elaborate booklets. There are many publishing and sharing options. 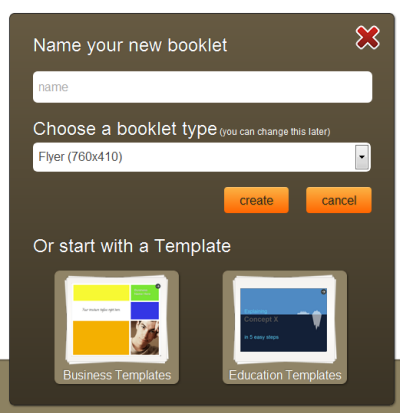 You can embed a booklet on your website or a self-hosted blog, for example. Finally, you can turn booklet creation into a collaborative affair. You can learn more about Simple Booklet features here and more about plus features here. Additionally, as an instructor, you might use Simple Booklets to create elearning modules and even Web Quests. And now a digital story…. Because it’s been that kind of week, I am inflicting, er, sharing a digital horror story with you made with Simple Booklets.